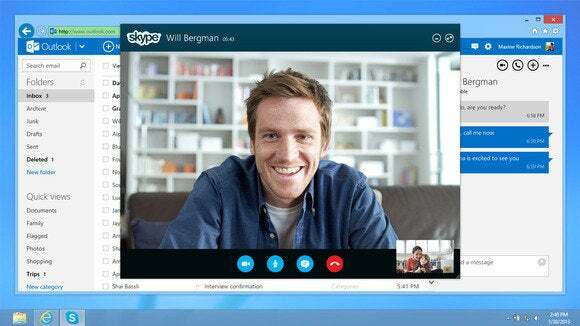 Microsoft’s upcoming Skype for Web service will use the new WebRTC standard so it works in all modern browsers—but not right away: Early users will have to download a plugin that’s only available on Mac and Windows. That’s something Microsoft has already done for years in its Lync universal communications product. The reason for it lies in the complexity of building real-time communications, and the often-complex way web standards are developed, approved and built into browsers, especially the audio and video formats they use (known as codecs). “Those are the technologies that need to be supported in WebRTC to give a good experience,” said Aboba. Without them, calls could be hard to hear and video choppy and interrupted. But they’re not in any browsers yet, so Skype can’t just use them. “No browser today supports a combination of H.264, simulcast and scalable video codecs. Chrome has simulcast and scalable video codecs and even multi-stream video, but it doesn’t have H.264. Firefox supports H.264 but doesn’t support simulcast or scalable video codecs or even multi-stream video. IE recently announced it will support H.264, as well as ORTC which by design supports simulcast and scalable video codecs, but that’s [in the future],” he said. Although it may seem as if WebRTC has been around for a while, even Google Hangouts didn’t switch to using WebRTC instead of a plugin until July this year—and the WebRTC 1.0 standard isn’t finished yet. WebRTC has also been affected by the agendas of the many companies involved in developing the standard—including Apple, Cisco and Qualcomm, as well as browser makers such as Microsoft, Mozilla and Google, which proposed its own VP8 codec instead of H.264. Video calls between different browsers won’t work unless both use the same format for the video, but discussions on which video codec browsers will have to support in WebRTC dragged on for many months, with arguments over the licensing and royalties involved. Refusing to support VP8 was Apple’s only real contribution to the discussion, and last year Cisco offered an open source implementation of H.264 to break the deadlock. Both Google and Microsoft were involved with developing ORTC and originally the plan was for version 1.1 of WebRTC to incorporate the new ideas. It’s the ORTC version of WebRTC that the Internet Explorer team is working on. But now many ORTC ideas are going straight into WebRTC 1.0. That’s slowed down finalizing the standard but will improve compatibility. Even so, WebRTC is some way from being a mature technology. Many of the pieces aren’t new, but they haven’t been put together in a single system before. 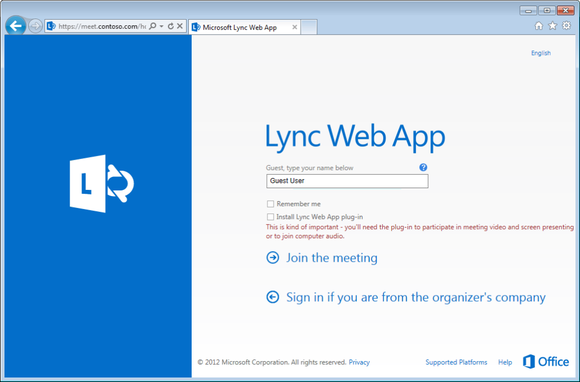 And then there’s the question of matching the experience we expect today from services like Skype.